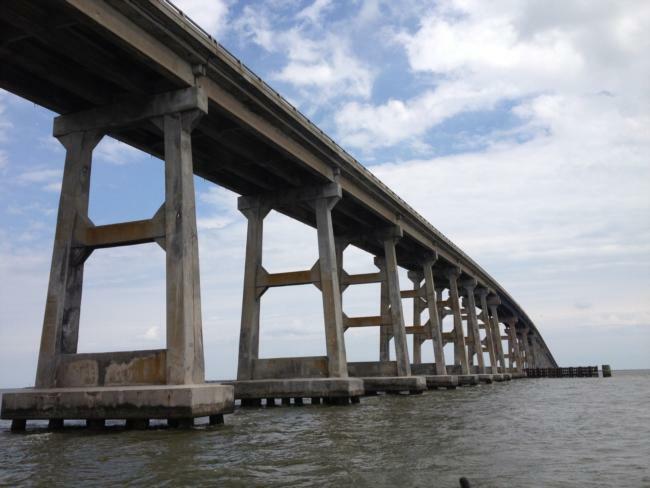 During the week of March 18, contractors for the N.C. Department of Transportation will be installing gates and fences around the southern end of the old Bonner Bridge and adjoining catwalks, as workers prepare for demolition. This will temporarily end public access to the bridge while the demolition takes place. About 1,000 feet of the bridge will remain after the demolition process and be converted into a public walkway and fishing pier. That section is expected to reopen in 2020. It’s really too bad Basnight doesn’t share the humility of his old friend, the late Andy Griffith. When the Virginia Dare Bridge was being built many local business and civic leaders tried to have that bridge named after Griffith, but he wasn’t interested. The name ultimately was rightfully bestowed upon the first English settler born in the American colony, Virginia Dare. Alright, here’s the deal. Since we struck out renaming the new bridge, the fishing Pier is the new opportunity. Call it the Oregon Inlet Fishing Pier. That way the past is preserved. Well, back to my cold 🍺. Koo Flocks, brew master in training.